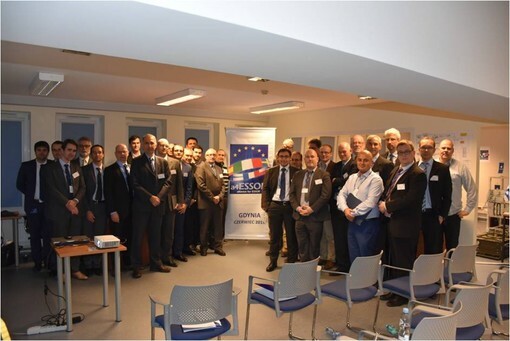 Following the successful completion of the first phase of the ESSOR Programme, the ESSOR community (both governments and industries) decided to demonstrate their outstanding results to the NATO nations, as the ESSOR High Data Rate Waveform (HDR WF) is being promoted as the basis for the elaboration of the NATO Wideband Waveform (WBWF) STANAG. Thus, an ESSOR interoperability demonstration was performed on 25th November in Gydnia (Poland) in Radmor’s premises. 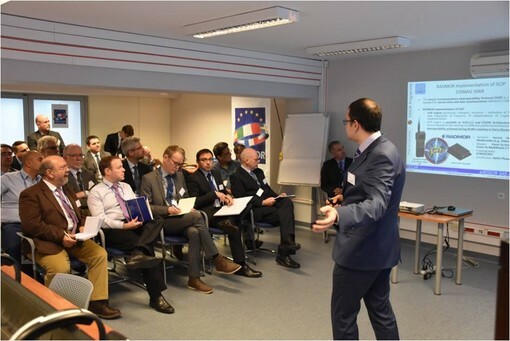 The attendance to the event was diverse, including both governmental and industry representatives from several NATO nations (the United Kingdom, Germany, Norway, the Netherlands, and Turkey), NATO (NHQ C3 Staff and NCIA), as well as the ESSOR community (Finland, France, Italy, Poland, Spain and Sweden). VoIP conference (point to point and point to multipoint), including SCIP secure voice communications (STANAG 5068). 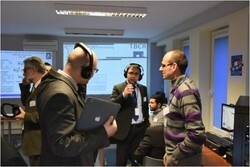 The demonstration provided the NATO community with tangible evidence concerning the feasibility of achieving interoperability through the Software Defined Radio technology, the adequacy of the ESSOR methodology for waveform portability, as well as the performance of the ESSOR HDR WF as a Wideband Networking Waveform. Based on current ESSOR HDRWF interoperability achievements already demonstrated to NATO, featuring state-of-the art capabilities and techniques and the ability to support future extensions, the ESSOR Stakeholders are convinced that the ESSOR HDRWF is the good candidate for elaborating the NATO WBWF STANAG. This interoperability demonstration to NATO will be complemented by two additional ones to be performed for the nations participating in the COALWNW programme: The United States, the United Kingdom, Canada, Australia, Germany and the ESSOR nations.